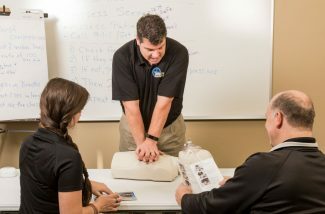 Learn About the QFAS Difference! Enjoy flexible ordering and responsive delivery service. Many times, you’ll receive your supplies the same day you place your order without added “same day” delivery charges! Whether it is CPR or Forklift training, QFAS provides practical, results-oriented training that meets your needs and satisfies OSHA and MIOSHA requirements. With QFAS, your questions and requests won’t go beyond the end of the business day without a response. That’s the “Sunset Promise” and it’s part of our culture. You’ll receive personal service from an experienced service rep who takes the time to learn about your business challenges. This leads to higher quality, cost-effective solutions. Service is the QFAS team’s #1 priority! With a 98% client-retention rate, a growing client base, and an average of 34% savings in the first year, the results speak for themselves! Experience the convenience of van-delivered service. QFAS delivers throughout Michigan, Northern Ohio, and Colorado – often the same day you place your order! 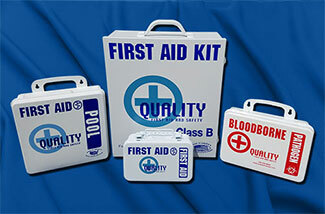 QFAS not only installs first aid kits, we maintain them! 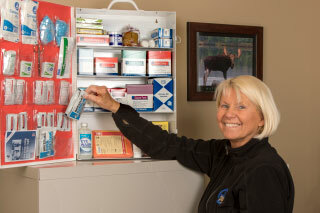 Service reps are standing by to clean, sanitize, check expiration dates, and restock your kits and supplies. We like what we do, and we do it the best!